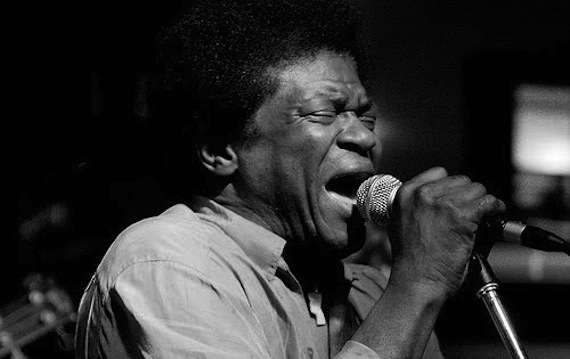 Yup, kids, that’s Charles Bradley covering Nirvana’s “Stay Away.” To say I had reservations about this pairing would be an understatement, thankfully my friend Matt would have none of it and threw it on a couple of weeks back while playing records at his house one night. In the hands of Bradley and the Menahan Street Band, “Stay Away” morphs into a swampy psychedelic soul jam — one totally indiscernible from the original. Trust me when I say “Monkey see, monkey do” never sounded so right. The cover is culled from Spin magazine’s tribute to the 20th anniversary of Nirvana’s Nevermind. heard this on kcrw the other night. yeah, i don’t think you can even really call it a ‘cover’.